Experience peace, solitude and wildlife right in your backyard not to mention star filled skies only found in the country. 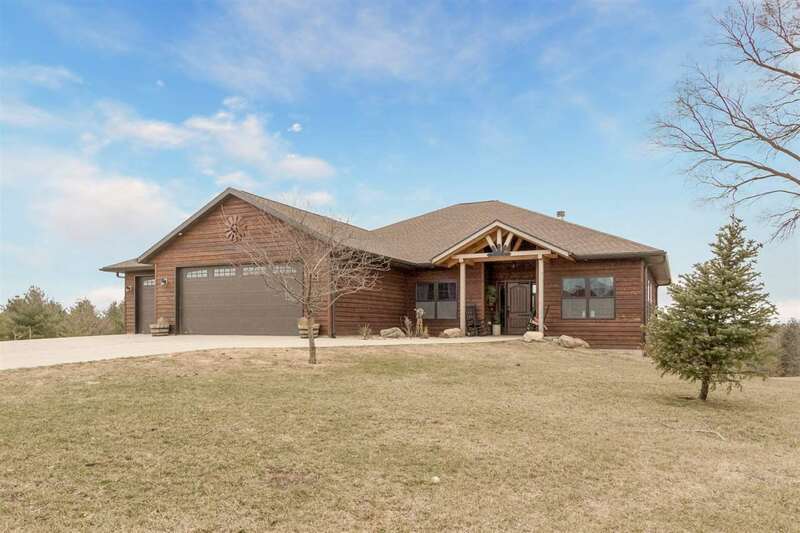 This newly constructed home sits on 3+ private acres. The expansive foyer opens an impressive vaulted living room showcasing African acacia floors, a stone, wood-burning fireplace & angled accent windows. A kitchen built to entertain w/a massive granite island, knotty alder cabinets and high end appliances & opens to the dining room. Lower level family room w/ walk-out, 2 bdrms & bath.